Robert Jones is an internationally known professional makeup artist. Enjoy his positive perspective on beauty and take in all the professional makeup advice he offers in this exclusive interview. LoveToKnow (LTK): Why should women read your book, Makeup Makeovers? Robert Jones (RJ): Basically because I have broken it down and made it simple. Knowledge is power and in the book I am trying to cover every aspect of product knowledge: understanding products to help make the decision about what needs to go where. I have laid everything out in a way so you can choose what you want to do. Some makeup books are trying to sell product, my book is about how to make real women feel beautiful; which will give them the confidence to be beautiful. We know our confidence level is definitely affected by how comfortable we feel on the outside. LTK: How can proper makeup affect a woman's life? RJ: I personally feel that every woman is beautiful. They are all beautiful in different ways and with makeup they can bring out their own natural beauty. It might simply be mascara and lip-gloss for somebody; it's not a matter of having to put a whole face on, but a little bit of makeup always makes everyone look their best. Every woman is going to benefit emotionally from having that self-confidence. LTK: In your opinion, how does an average woman compete with the magazine models? RJ: You are not supposed to compete. It's never a matter of making yourself look like someone, it is always a matter of you making yourself look the prettiest you can be. Maybe you have pretty eyes, or maybe you have pretty lips or beautiful skin. Decide what is pretty about yourself and focus on it. You're not trying to emulate the cover of a magazine or trying to make sure your brows are shaped just like someone else's. Like in the book, I focus on designing your brow to match your face rather than look like someone else. Your brows are never going to look like that; magazines are not realistic. LTK: Which makeup products are most important in designing the perfect look? 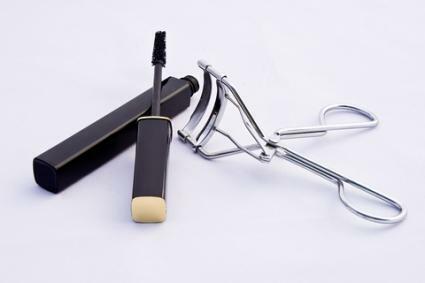 RJ: The most important makeup tools for every woman are an eyelash curler and mascara. There is nothing that will give you a faster, cheaper face-lift then curling your lashes and putting mascara on. It defines your eyes better, wakes you up and gives your face life. Good brushes will also make a difference when applying product by helping you get the product on better and more evenly. What you pay for in brushes is the quality of the hair in the brush. That's not to say you can't get some good brushes for a decent price. It is in the bristles, the hair, and in the construction of the brush. So when it comes to brushes, you are getting what you pay for. LTK: How should women select their cosmetics brands? RJ: First thing I would look at is the availability of price points within their budget. Within every price point you can find quality products. So the first thing you need to do is evaluate your budget, and then secondly, which brands have what you need in it. It should have the products you are looking for, the quality of testing, and the quality of product. There are a lot of good brands out there; it can be a matter of finding the ones that are accessible to you. LTK: What is a common makeup mistake most women make, and how should they fix it? RJ: They pick the wrong shade of foundation with the wrong undertones. Fix this by testing sample foundations. When you are in the department store, the most hideous lighting distracts you. The best thing to do is visit with no makeup on at all and try on multiple shades, let it sit for a minute or two, and then take a mirror and go outside. See whether or not your foundation matches your neck because, your goal is whatever you put on your face should match your neck. Ask for a sample. The department stores will give you a sample without a problem, and some of the lower price points like Mary Kay have consultants that have samples, and their foundations are great for a great price point. LTK: Which makeup tricks would you share with our readers? If you want to look younger use a brighter and warmer lip color. Gloss will always make your lips look fuller and sexier. A fuller brow makes you look more youthful. You never want to over-tweeze your brows. Always remember that less is more, you never want to see the makeup, and you definitely want to see the person. Choose shades that are going to bring out your features. Your makeup is not meant to compete with you, it is meant to complement you. Makeup does not have to match your clothing. Choose makeup based on your features, not based on the cute pink outfit you have on. LTK: To what or whom do you owe your success? RJ: What do I owe my success to? God. I never purposefully went after what I have achieved. The opportunities were in front of me, and I just picked through them. And of course, natural gift; the artistic ability and how my mom taught me to paint and draw. It all was a really a big accident, but a happy accident. I have worked hard and been open to letting people help me, and I've been open to helping others. So I didn't wake up one day and say… I am going to be a makeup artist. It just kind of all evolved. RJ: I think every woman is beautiful. Embrace who you are today and everyday because you are going to change. As you age or as you go on with your life, you need to love who you are every day. If you are happy and you love yourself, you are going to be beautiful. Robert Jones believes he fell into a career in makeup art purely by accident after he decided to merge his interests in painting and acting into what became a highly successful makeup artist career. His book, Makeup Makeovers, was released in 2005. 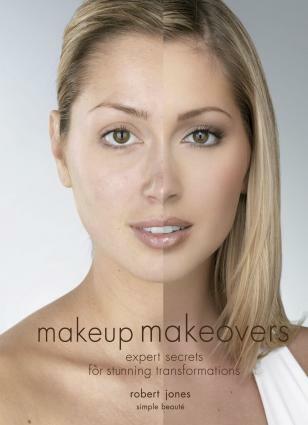 Robert Jones' book, Makeup Makeovers, includes expert secrets for creating stunning transformations, as well as real life solutions to traditional beauty concerns. You can find the book at Amazon and Barnes and Noble. Also review Robert Jones' website at Simplebeauty.com, where you can take a tour of his philosophy, look at products and ask questions.